Is it just me or did everything suddenly jolt back to normal? We just had 2-3 months of holiday buildup which abruptly came to an end this past Saturday. I don’t miss the holiday as much as I miss the mood that came with the holidays. Everyone seemed friendlier, more loving and more generous. This sense of spending time with family overpowered everything. Then it comes to a sudden halt as we’re thrown back into work and our regular lives for the other 10-11 months of the year. I almost wish that we didn’t have Thanksgiving, Christmas and New Year’s so close to together. I almost wish that we could have them spread apart so we could keep this loving and generous atmosphere all-year-round because, let’s face it, once the New Year comes, everyone stops being cheerful and everyone goes back to being too serious. I’m also sad because the official food-binge season is over. 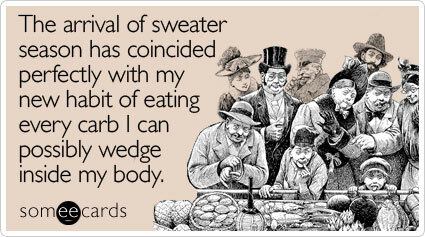 No more having “It’s the holidays!” as an excuse to over indulge in anything and everything. But that probably won’t stop me anyway. Work has been so busy this month that Ive almost forgotten that we’re in the holiday season. I’ll still have subtle reminders that bring me back to reality such as autumn leaves and white lights on houses but for the most part, my head has been buried in front of my work computer as clients have become my “holiday”. Heck, I haven’t even done my Christmas shopping yet! I can’t believe I’ve never tried these before but since my company is all about food, I’ve had the opportunity to try a number of different batches and I can conclude that I love them all! The peppermint bark has become my holiday amongst all my documents, files and emails. Now I just need to find someone who can make this or somewhere that sells a box load for cheap. By now, it’s understood that I’m horrible at keeping up with this blog. In actuality, I have countless drafts that will never see the light of day because 1) too much time has passed or 2) I never finished it and I don’t have the time. I guess it’s a good thing if I’m always busy (with work) because it means I’m actually doing something but I’m also reminded of how much I miss blogging and how much time it takes to craft a really good entry. I haven’t done that in a long time. I do have a Thanksgiving blog that….will probably never get posted until after Christmas (ha). Anyway, hello. This is my sad blog post to make up for all the other great ones that aren’t finished and most likely will never be. On a happier note, fall is my favorite season and the red leaves have been driving me crazy with happiness. There’s something about the holiday season that makes me wish it was an year-round tradition. The lights, the leaves, the winter clothes, the hot cocoa, etc. No matter how busy things get, this is the one thing that I always have time to dwell upon because it makes me happy just to see it.